… the educational results– if not the intestine-encased waste products themselves– are good for one’s health. Sunlight Labs (part of the Sunlight Foundation) is a non-profit, non partisan Washington, DC-based organization focused on digitization of government data and on creating tools and websites to make that data easily accessible. Each year Sunlight Labs runs Design for America, a competition for the best design solutions to the problems facing governance and responsible citizenship in the U.S.
See the other entries in this category, and the other categories, by following the links here. 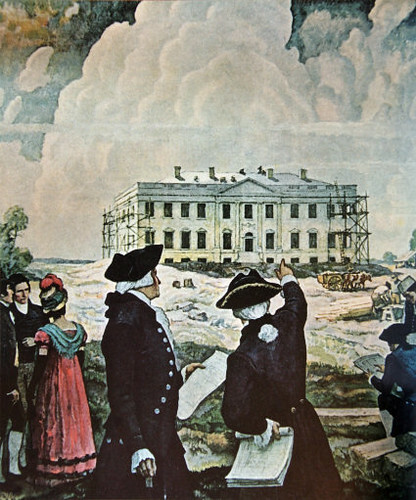 As we lift the rock in order to peer underneath, we might recall that it was on this date in 1800 that U.S. President John Adams took up residence in Washington, D.C. (in a tavern, as the White House was not yet completed). Congress had passed the Residence Act in 1790, providing for the building of a national capital on the banks of the Potomac River; in 1791, the federal city was named for George Washington, and Pierre Charles L’Enfant began to plan the city. Finally, in 1800, the government began to move into its new home, first the President, then Congress– which met in Washington for the first time in November of 1800.